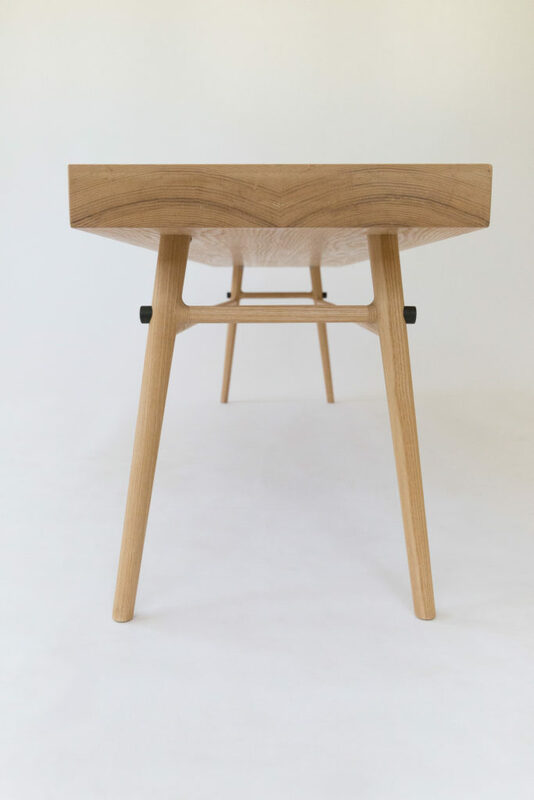 In development for over two years, the collection includes a table, bench and stool. Each piece is generously sized with deep seats for comfort and designed to work equally well on its own or as a accent piece. The bench can be a coffee table, the stool an end table. Customers are able to specify width and length dimensions for both the bench and table as well as select from a range of wood species. 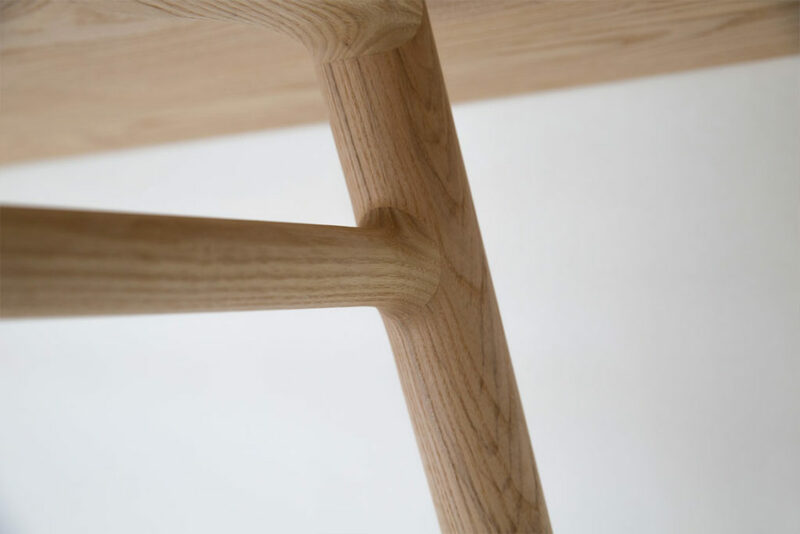 A barstool and dining chair are currently in development and will be released later this year. 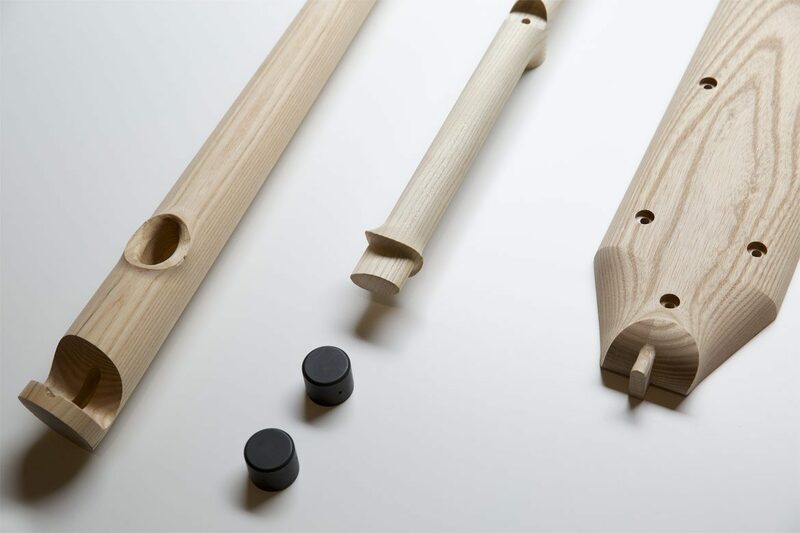 an ancient woodworking craft of elegantly simple furniture that features intricate concealed joinery and little to no metal fasteners. Each joint fits together like a beautiful, multi-dimensional puzzle. 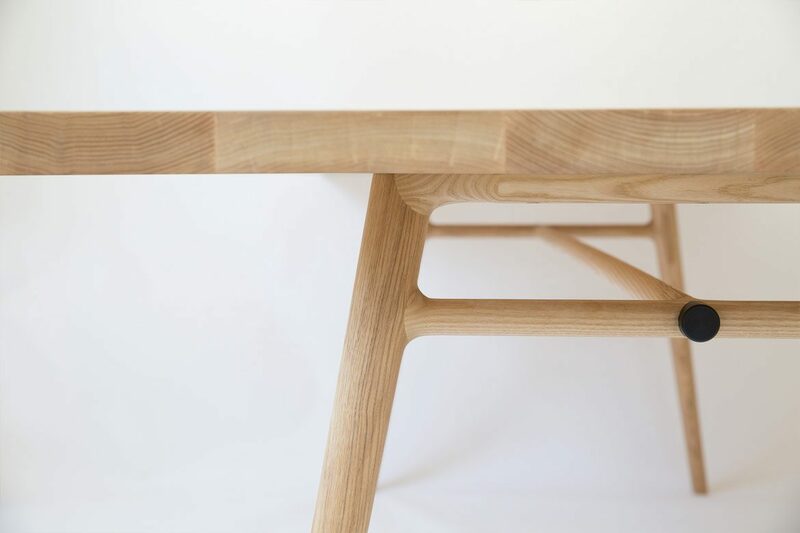 The strength of this joinery allows the table to have a massive, substantial feel while remaining visually light. 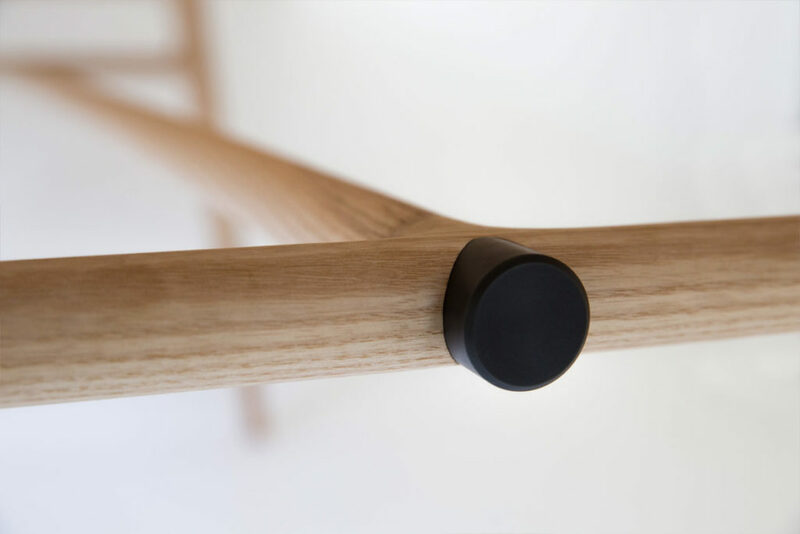 6-axis milled American ash leg assembly, blacked steel hardware. The Bough Collection released at NYCXDESIGN at Calliope in the West Village where the work is on display until June 3. The collection is immediately available for sale. Available in American Ash or in a range of species and finishes. 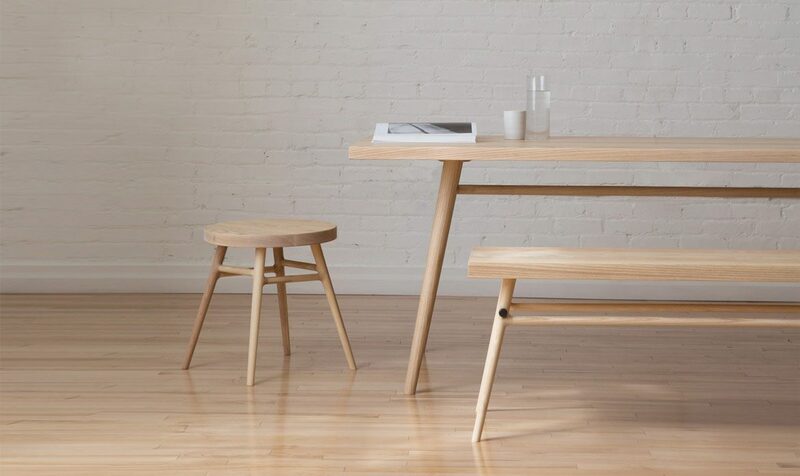 The Bough Collection is built to custom spec and made in Los Angeles.